A United States Army veteran, John is the lead of our defensive pistol and NRA sponsored programs.He is currently certified by NRA to teach Basic Pistol, Personal Protection, and both Metallic Cartridge and Shotshell Reloading. His other certifications include NRA Range Safety Officer as well as Level I Range Officer with the National Range Officer Institute. John’s background includes IPSC and USPSA pistol and 3-gun competition starting in the 1980s and continuing to the present.In 1998, he won his class at the USPSA 3-Gun Nationals and continues to compete on the local and regional level as his schedule allows. To complement his experience with firearms spanning four decades, John also has significant experience as an instructor in other endeavors such as music and electronic technology.Such diversity helps him to adapt his teaching style to meet the needs of his students. John also volunteers many hours each year with the Boy Scouts of America and other organizations. John resides in rural Terre Haute, IN with his family. 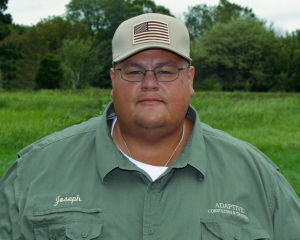 Joseph is the lead for developing ACT’s defensive rifle and 3-gun competition programs.In addition to many years of practical shooting competition experience, he has successfully completed hundreds of hours of defensive shooting and tactics courses with many of the industry’s leading instructors. 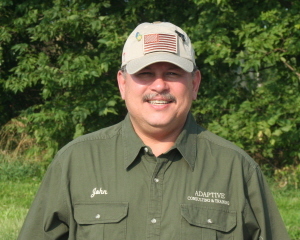 In 2011, Joe completed certification as a NRA certified instructor as well as Instructor certification with the Farnam Group. An initial interest in firearms arose through Joseph’s political activism involving the individual right to keep and bear arms.That exposure quickly lead to ongoing involvement in a growing number of practical and action shooting sports and ultimately a stronger focus on the use of firearms for personal defense and security. Joseph currently resides in Indiana. You may contact him at joseph@adaptiveconsultingandtraining.com. Granger is a life long woodsman and student of wilderness and near urban survival.As an instructor for World Survival Institute of Tok, Alaska, Granger led instruction for US Military personnel in survival and wilderness medicine.While in Alaska, Granger also acted as a hunting guide and tracker. 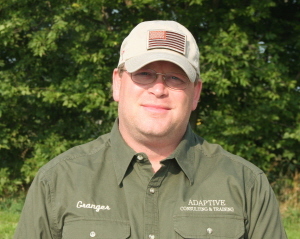 Author and knife designer, Granger brings to ACT a priceless resource of knowledge and experience that makes our courses in wilderness and near urban survival and emergency preparedness informative and entertaining. Granger resides in North Carolina with his family.